The other day my lovely friend stood patiently by my side and told me where to cut and where to stitch. I am very pleased with the end result. Thanks Mooks for your patience. I love you to bits and just wish we lived closer so we could we make stuff together more often. The Blossom Blouse pattern is from Sew Liberated and it was SO simple-just perfect for a beginner sewer like me! 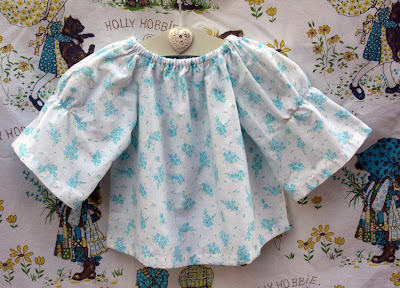 And just to make sure I could do it without my lovely teacher, I decided to make a second blossom blouse. I used a vintage cot sheet that I picked up from the op shop ages ago. I have been collecting preloved sheets for the past year with a plan for a quilt of sorts but I loved this little floral print and thought it would be fresh and pretty for a Spring Blossom Blouse. 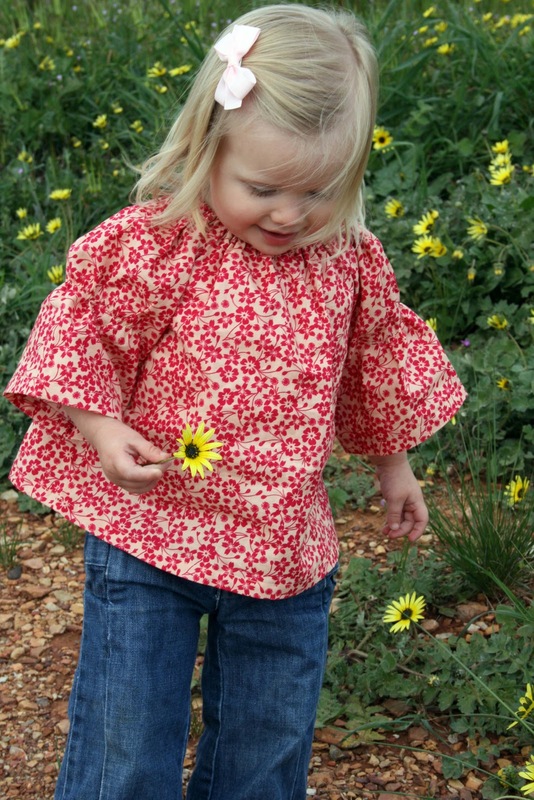 I can see more of these being made but I am wondering, how many Blossom Blouses does one little girl need? I kind of wish I had one in my size. They both look SO cute Lea...you clever thing! !